July Snow in New Hampshire | Watts Up With That? “It’s not extraordinary, but it’s definitely interesting,” said Stacey Kawecki, a meteorologist for the Mount Washington Observatory. Mount Washington, the Northeast’s highest peak at 6,288 feet, has recorded snow in every month. The last time it was recorded in July was 2007.
which is according to solar cycle length. Then, we can see what is going on in New Hampshire, and what the future will be like with 2 long and shallow cycles in the forecast. Summer snow on Mt. Washington is nothing new or even unexpected. It is kinda interesting the way the weather patterns often produce summer snow in the White Mountains, weather traveling all the way from the Rockies and down from Canada and weather coming up the East Coast coming inland all heading east and over the Berkshires and around the Green Mountains before being stopped by the White Mountains (especially Washington which is taller than any mountain the weather has hit since the Rockies). Interesting but not a sign of anything except that it gets cold above 6000ft. Actually, Max, the lull in July snow since 2007 and its return now is reflective of El Nino. Mt Washington doesn’t get snow if the jet stream is north of the notch. El Nino keeps it up there in the summer months, now that El Nino is dying, the jet stream can meander south more frequently so the chance of July snow there increases. Well, had it been dry and hot, the warmers would have been claiming it as another indication of global warming. That it is wet and cold, a warmer claims it as “Interesing but not a sign of anything except that it gets cold above 6000ft”. Nice to see they like to have it both ways. I just might have to cover my tomatoes tonight to keep them from getting hit with frost. What a way to celebrate the 4th of July! In the interest of balance. There is quite a bit of corn already tasseling in Northern Illinois. This will be the first I’ve ever seen corn tasseling by the fourth of July. Of course we all know that the age old gauge was “knee high by the fourth of July” so it is fair to say that this is part of a long term trend of improving corn growing conditions. No doubt NH snow in July is proof that AGW IS occurring. That brings to mind Prof Freeman Dyson’s comment that growing corn uses up all the carbon dioxide available within five minutes if there is no wind. If corn is growing that fast, maybe it’s something in the air. Truth” next to his Bible..
Actually, what’s in the air is called progress – improved genetics (number one), improved chemicals, improved equipment, improved practices. Average corn yields are said to improve about 1 or 2 bushels per year, and the trend is accelerating. No doubt though, in the not-too- distant future, snow on top of Mt. Washington will become “a very rare and exciting event”. Then, they will have to call the Presidentials the “Gray Mountains”. They will have to erect barriers to keep the hordes below from overrunning it in their desperate attempts to escape the boiling heat in the valleys. Has anyone ever been in a cornfield at sundown when the wind was still and quiet? You can actually hear the corn ears grow, stretching the silk and husks. Its a wonderful sound of nature. I’ve been busy in my garden here in Selsey in the very south of England, a place known previously for its benign climate. My runner beans are at least a month late, my courgettes are also very late and the broad beans (which should be over by now) have only just started to produce pods. Its a really weird summer after a very cold winter. I’m hoping for an extended autumn so that crops which flourished by mid-summer five years ago can come to fruition. It’s mid-summer and I’m wearing a fleece as I type this! What was unusual here in central VA this year was (a) continuous snow cover from Dec 18 to Mar 5; (b) no killing freeze from Mar 1 on; (c) record hot June. Odd. I hope La Nina might moderate summer here: so far it’s been brutal, though obviously it’s been unusually cold elsewhere. Correlation for the AMO index is calculated. We have July 4th skiing, too! Climate progress was making a big deal out of a little heat wave in D.C. last week. A heat wave is not climate change. Record heat in the summer is not climate change. Snow in the summer is rare, scarce and NOT a sign of warming. How can Romm face himself on this? They insist droughts and heat are permanent? I also noted corn maturity while riding my mountain bike in the country this morning. Being a farmer, it is not unusual. The ground dry enough to plant let us plant early. It is raining today. We have plenty of moisture. I also don’t recall seeing corn tassels in June. When I used to run, I ran the Mt. Washington Road Race (the race with only one hill) every year. It was always a challenge. It was run on Father’s Day weekend on saturday. Which also happened to be the bikers weekend down at Louden, NH. Made for some interesting stuff. One of the biggest challenges of the road race was being able to change clothes on the fly as you went up the hill. It might be 70 at the base with sleet at the summit. Perfectly normal. You had to carry extra clothes to put on as you went up the hill when you were a moose like I was. They do not award first place in these kind of things to guys whose marathon weight was 190 lbs. The elevation is not all that much, but its the highest thing around for many miles and summer snow is by no means unusual. Despite the “one hill” name there is actually one small place where you go down hill at a slight grade for 100 feet or so. So technically its the race with only 2 hills. Stephen Brown – Yup, I’m in the south-west, just, and everything is definitely a month late this year. The cold killed off my autumn sown broad beans and the lot I planted this year are just producing. My runner beans are only half way up the poles although I did notice a chap nearby had his in flower so perhaps he started his off in the greenhouse very early. Asparagus was also a month late and I probably could have continued cropping for a bit longer. Spuds nowhere to be seen – plenty of green on top, b***** all beneath the soil. It’s interesting, though, the unpredictability of it all. That would be inches of rainfall. I only have this record because someone local made sure thier work was preserved. A lot of records for California were absconded with, and it’s a travesty. The poor slobs don’t know what’s coming next, what with their heads stuffed with AGW hysteria. Mulberry trees 2 months late here in NW Calif. Cold killed 3 young trees, peach blossoms, and tomatoes think it’s fall (turning red already). The news from the S. Hemisphere says to expect another round of increasing cold winter. And what is that silly Sun up there doing? New Hampshire is in the midst of a few of those “rare days in June” with breezy, cool dry weather. We get a few each year, sort of makes up for the way too brief transition between chilly and hot. This year, they stretched into July and a couple days had a upper level low to provide some instability. In fact, they had a little snow on top of Mt Washington. Not much, but enough to get the weather watchers in the observatory all excited. It has snowed in every month of the year up there, but snowfall in July and August is pretty scarce. I suppose I could, though having grown up in the snow belt in northeastern Ohio I’m more interested in snow fall and snow depth. Especially the latter – if you sum the depths for every day in the snow season, you get “Snow Depth Days”, a handy figure to gauge how snowbound an area is. The main thing I’ve learned is that the season-to-season and site-to-site differences are so big it would be tough to find any useful correlation. I’d be reluctant to use rainfall data too – we get impacted by nor’easters (think broad tropical storm) and they often bring a wide range of rainfall to different areas. Mark Twain was the first person to successfully describe New England weather, see http://wermenh.com/sdd/index.html and follw the link near the bottom. “There is a sumptuous variety about the New England weather that compels the stranger’s admiration — and regret.” The “European” weather forecast model was predicting a high temperature in part of Massachusetts this coming Wednesday that would be above the all-time official high temp in the state. I think it’s backed off a bit, but it will be hot. NWS says 96°F, 10° below the all time record. A good day for the White Mountains – on a mountaintop. > Mt Washington doesn’t get snow if the jet stream is north of the notch. For non-New Englanders, a notch is basically just a mountain pass. The term annoyed me to no end until I realized that most of them really do look like notches. Mount Washington, the Northeast’s highest peak at 6,288 feet, has recorded snow in every month. And so it’s remarked upon here… why, exactly? I kid you not as we are dealing with people who refuse to be rational about the weather. Yep! No warming here. Move along! You do realize that when there are ~20 feet of snow on the ground at 8000′ that it does take a while to melt? This June, I recall hearing recent forecasts on KHB60 Puget Sound area weather radio that the snow level in the mountains of Washington State would be around 6,000 feet. Global skiing in July: Overall great conditions! That is all local weather – not related to climate at all – as the record warm winter for Canada. It’s still that way in the north east where everything is mostly 2-3 weeks in advance. Last week was relatively cold if i compare that to the previous 2 months (april and may), but other than that, it’s been a very mild spring and warm summer start – with the exception of the last few days. Today everything went back to normal with temps high in the 80s – if not in the 90s. So, i don’t make much of that event of snow on top of 6000+ feet of elevation. And i don’t make much of that single warm winter – as i’m quite sure it’ll be back way too soon. Still on the long run, it’s been awhile since we’ve had a -40 in our area – the last one i remember was early in the 90s. But it was a common thing prior than that. Things are changing. To Jimbo, most of the thing you said – have been told by people not believing in AGW. They say that AGW proponents are saying that, but i challenge you to find who really said that, and you’ll be surprised that it is coming from some of the most influent people – yet no scientist – in the anti-agw group. If you look at the skeptical scientists, no one of them will deny the global warming situation we’re in for the last 150 years or so (with fluctuation – but still warming). So saying what you’ve said is only perpetuating lies, distortion, and does’nt serve any cause beside your own belly button. You see? In order to freak people out, you’ve GOT to employ the most scary superlatives you might muster in order to have effect! Now remember this: CAGW = Catastrophic Al Gore Wretchedness. It’s ‘wretchedness’ because when he gets done with us, we’ll be living wretched lives. I don’t think old adages apply in the age of modern farming, hybrid, genetically modified, etc. How does it feel to be tossed into a washing machine, stuck on the wash cycle? In virtually every decade of modern man, some jerk comes along and plays you people for the fools you are, and you buy it, hook, line, and sinker. 56F this morning in Charlotte, NC. A new record for the day…. Gee Rattus…no kidding? Such a genius to figure that one out you are. What it should tell you is how a particular locale reacts to solar cycle length. I was surprised to see that the rainfall records sorted nicely. People around here ask me a lot about what the deep solar minimum means, and now I have an answer for them. And with all of the weather data pouring in, why the idiots in D.C. STILL want to shove their carbon-come slavery down our throats. You’d think that by this time they’d have come to their senses. But no, they’ve been read the riot act by the wholly reluctant GOD-KING in the White House, and are determined to kill us off with taxes before we all die of starvation first. Pull the teats on the cash cows just as hard as one can, before they croak. As an old retired corn grower I can empathise with the various statements about tasselling and being able to hear corn grow. The latter is true. You can hear it crackle on a hot humid day and it will grow up to six inches in the day. The comments from many decribing the season set-backs eg broad beans a month later than normal, is very worrying. The growing season has been seriously reduced and should you have an early autumn some crops won’t reach maturity. No big deal for the home gardener but if translated to the commercial fruit and vegetable growers will mean shortages of summer produce. 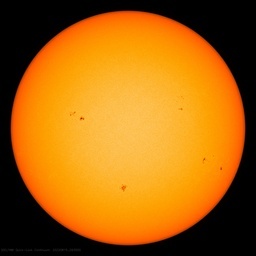 Unfortunately this will become common should SC24 and SC25 continue as predicted by the solar physicists. It’s been well over thirty years since those cold winters and relatively short summers played havoc with world grain stocks. Current stocks rarely exceed 60 million tonnes which equates to 10 loaves of bread each; a very small buffer. Remember that Canada, the Ukraine, parts of China and grain areas in Northern Europe all increased production in the past warm cycle and will lose production over the next decade. We could be in for a tough time. The first thing to go will be grain for ethanol so any targets for non-oil fuels will have to be dropped. More food will be grown in greenhouses necessitating more power not less. Populations in poor countries will suffer. There will be positives for the farm sector. More competition for grain should see price rises at the farm gate. Dearer grain will see a move away from feed lotting and a return to grass fed beef and sheep as the main means to provide protein from marginal lands. There may even be a role for the alarmist scientists to use their knowledge of the carbon atom to help develop faster growing crops which use less water. The corrollary of cooling is less rain and more snow isn’t it. I seem to remember an American corn farmer from Iowa saying he only received 9 inches of rain but 9 feet of snow on which to grow his corn. That was in the sixties. The most positive result will be the end of the AGW ridiculousness. One reason that Mount Washington isn’t “just another mountain top” or “just what it’s like above 6,000 ft” is the number of weather related records that have been established at its peak weather observatory. It is known generally as having “The Worlds Worst Weather”. 6,000 ft altitude really isn’t that high, the peak of Mt. Washington is a relatively normal elevation in and around Colorado Springs, CO, yet it consistently has far worse weather than that community experiences. April 1934 of course, the wind meter at the peak recorded the fastest wind gust in history, 231 mph, a record that wasn’t beaten until this past year Barrow Island, Australia recorded 253 mph windspeeds during a Category 4 typhoon that made landfall there. Mt. Washington posts 100 mph windspeeds every few weeks, which obviously can cause some rather extreme and quickly changing weather events. For this reason, the mountain is also known as one of the deadliest mountains. Gearjunkie.com classifies it as the 8th most deadly mountain in the world, classed with 9 other candidates that, except for the Matterhorn (at 14,000 ft), stand over 20,000 ft tall. Over 100 people have lost their lives on Mount Washington. One interesting find: the climate change page on the Mt. Washington Obervatory’s website has been wiped and is under complete revision, after local observations of recent years have conflicted with the AGW accepted wisdom of rising treelines and other biological elevations. I value the opinion of an experienced farmer far more that the opinions of climate modelers sitting in their sterile cubicles, who never get out into the mud and the cold real world. Thanks for your perspective. This is several days old and the weather has not warmed up at all. Its Déjà vu… I thought so… I could kind of remember the scary news about Iceland volcanoes toward the end of the 23-24 solar minimum. Katla didn’t blow then… I’m not saying it won’t now but, anyway. Refreshed my memory of some of the other 1998-1999 eruptions too! We had an El Nino switch to a La Nina then too, and much the same weather patterns we have now. A bit more intense this time though. If the Sun is going to get going at all, the time to do it is within the next six months. We may be in for a number of VEI 3-4 volcano eruptions between now and through 2011 if history repeats. Heaven forbid those get worse like the weather. Selsey Bill must be an octogenarian lizard. 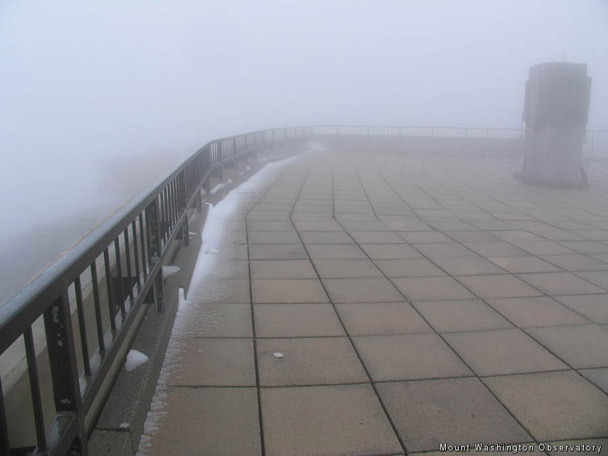 @mikelorrey – Glad someone else popped a mention of that 231 mph wind record on Mt Washington. Coolest summer I’ve experienced in my 50 years in SoCal so far. Everybody here’s talking about it. Sweater weather much of the day, with respite in the afternoon. It’s like an unusually cool spring. 15+ degrees under what I’d expect. Washington Governor requests federal farm disaster assistance. Reason: Crop failures due to abnormally cold, wet weather. From a strictly anecdotal perspective, 15 years ago I did a LOT of hiking around the Presidential Range (where Mt. Washington is located) and as an experienced White Mountains hiker one is *always* prepared for a sudden drop of temperatures into the 40’s and 30’s (Fahrenheit), and maybe a snow squall like this one. Yes, even in July and August. And so a July dusting in the Presidentials isn’t a big surprise, while on the opposite and of the scale, we often hiked in winter temperatures in the -20F to -30F range and I’ve been up on the Mt. Washington “Alpine Garden” with winds over 100MPH (we were crawling on hands and knees after coming out of the Huntington Ravine one nasty December day). They don’t call it “the worst weather in the world” for nothing. By the way, there is May and June skiing just below the summit of Mt. Washington, in the Tuckerman Ravine, almost every year without fail, and this has been ongoing for at least 80 or 90 years (since the 1920’s). No CAGW needed. And here is a live webcam of Mt Washington, with Tuckerman Ravine below and to the left, and Huntington Ravine below and to the right. The snow is gone by now but there are lots of photos posted on the web of snowfields lingering in the ravines right into late June. In southern New Hampshire June averaged about a degree above normal. I think it was mostly due to more sunshine than usual. We are having a mini-drought, as most of the rain is wrung from the air-masses out towards Indiana. I’m forsed to water my garden, but enjoy it, because June, 2009 was one of the rainiest ones I ever remember. After a June like that one, it’s hard to complain about this year’s glorious sunshine. A brief cool shot is normal this far north. The recent one brought temperatures within five degrees of the record lows, but didn’t truely threaten us with frost. The record lows tend to be around 40 F. The average low is around 55. People from sweltering cities like to come up this way to get some sleep, and relax by cool lakes. While looking at weather records I think I may have found a blunder in the Concord, New Hampshire records. The record low for June 30 in Concord was said to be 32 in 2005, but when I looked at the record for June 30, 2005 in Concord, New Hampshire, it said the high was 84 and the low was 61. Somebody goofed somewhere, unless it is just me. Is there a message here? You’re describing weather, so what’s new. I believe that not so long ago, there was a white X-mas in the Aussie Alps. The weather is getting more chaotic in terms of extreme events; heat, cold, rain, wind, cyclones, thunderstorms etc. But the world is cooling, is it? What about trend, could it be less warming? A bit like answering the question How are you? with… Not too bad. What does it mean? Is it bad but it could be worse? Probably not, what people mean is that things are ok but could be better. On the other hand, the tone of voice and/or inflection may indicate that things are in fact quite good. Warming, cooling or warming less than previously? That is the question(s). Ah, the Tomato Report. One of my most favorite and unimpeachable indicators. I’ve finally got tomato set, though later than usual, and now have some nice sized fruit, all green… Usually I can count on at least one at the early edible stage for the 4th, and sometimes a whole basket in warm years. Not this year. Small hard green things that could perhaps be used for Fried Green Tomatoes, but not much else. Sometimes is valuable to report the null case. Nothing unusual is happening. One July 5th several years ago my father drove from Plymouth NH to Cambridge MA very early in the morning. The dew point was very low and conditions were ideal for radiational cooling. He noticed one low spot along I 93 where the grass looked lighter than all the rest and suspected it was frost. So, the 32 is completely unbelievable and completely bogus. Is that data from the NWS at Gray ME or the NCDC? It would be an interesting project to try to get that fixed and document the effort. I reposted it with the correction but I guess the moderator didn’t catch it, my oops. I’m just exploring something along the same lines. The trick with the normal working of things is that nothing unusual happens, so even though they’re the pervasive normal case, they will not be reported nor researched in depth. It occured to me that alarmist science, MSM and the wikipedia devote much more space in papers, articles and web texts to positive feedbacks and much less to negative feedbacks; the ratio ranges from 2:1 to 5:1. Now, every dynamic system that sustains itself incorporates negative feedbacks; every living organism, for instance. It is what keeps the system stable. One example is the urge to breath. We as animals are so tuned to direct our attention away from the normal and towards the special because this might warn us of possible dangers. It makes the ubiquitious normal working of stable systems invisible to most of us. I think AGW science has fallen prey to this built-in perception bias. One might even say: A positive feedback is something very unlikely. It usually doesn’t happen. The professional slush fund climatologists have been spreading their tipping point writings so often that we’re all used to it now. In fact, most of the time nature has other things to do than crafting self-amplifying phenomena. Continuing this train of thought: A positive feedback runs its course, consumes some accumulated potential in the process and is over quickly. A dynamic system stabilized by negative feedbacks OTOH can continue over a long period of time. So the duration is much longer, and this explains the persistence and ubiquity of negative feedbacks in nature. This does not show that the “tipping point scenarios” are impossible but it explains why so much attention is diverted to them even though they must be unlikely. from here, we can ask the question: What is the potential that the positive feedback posited by the AGW crowd is expected to exploit? Well, as the suggested mechanism is water vapour feedback, the potential exploited can only be the heat differential between air near the surface and surface waters, leading to a higher water vapour carrying capacity of the air and increased evaporation. Needless to say, this potential must be used up in the process. Anybody already done the numbers or experiments? We should be able to observe the phenomenon on any hot day, anywhere except in very arid places. but it doesn’t convince me. Actually his own argument doesn’t even convince Gavin if you read through his responses to readers of his post. Averages when the differences are large have little to no meaning. Sometimes it is cold, sometimes it’s hot. Some people like it, others not. Sometimes the temperature is highly variable over longer periods, sometimes not so. Neither makes any difference over the long haul. The real meaning comes when outliers of weather and temperature happen at a time which causes widespread failure of crops. A difference in temperature at the high end has few if any bad consequences. When there is widespread failure of crops is when the real hurt happens, and can be caused by too much rainfall, too little rainfall, much later than “usual” killing frosts in the spring or much earlier than “usual” killing frosts in autumn. A repeat of either would be a huge catastrophe for the US, however greater our present technology. Absurdities do occur in history when “convential” scientists get it completely wrong. As far as I am concerned, this is one of those times which will have future historians and scientists shaking their heads in wonderment. No, it’s because they’re using GM corn that’s specially bred to be ready by the 4th of July instead of early August. typical heat streak in Philly will be proof of AGW. Tomato? Lots of them here in SoCal since the June 20 timeframe. the surrounding terrain. Wildcat is just across the street, and is 1/3 shorter. but K2 and Everest, was killed in a slide off the top of Tuckerman’s. I could try to convert you but I feel you have been totally brainwashed. However, over time at WUWT you may feel differently. I have a lot of peer reveiwed references for you but it may bore you silly and be a little inconvenient. Don’t accuse people of lying. I KNOW THAT THE PLANET WARMED IN THE LAST 30 DECADES OF THE 20TH CENTURY. Is that a lie? Can you convince me that the majority of the warming was caused by man as opposed to nature? Here is your forum to shine. Go ahead and provide the evidence. I’m waitingin….. Meanwhile, Christine is giving Patty and Maria pats on their respective butts to go pass that ‘Cap and Trade’ legislation. I KNOW THAT THE PLANET WARMED IN THE LAST  DECADES OF THE 20TH CENTURY. Hey, we’re finally getting a summer here in Southern New England that really feels like a summer. Don’t any of you guys go jinxing it. If you look at the skeptical scientists, no one of them will deny the global warming situation we’re in for the last 150 years or so (with fluctuation – but still warming). No one who is sceptical even needs to deny “the global warming situation”. Instead, what is demanded first from any real scientist is a reconstruction of what would be considered a truely scientifically reasonable record of the “world’s” temperature course, complete with the many caveats which will arise, including whether a GMT constructed from these surface and “oceanic” stations has any important physical meaning at all – something which so far has definitely not been presented by Climate Science. addendum to my above post: What’s wrong with the idea that Climate Science should have started at the beginning? I’ve climbed Mt Washington twice, both in the middle of the summer, and saw legitimately ALL kinds of weather (at one point in a 5 minute span, it went from clear to cloudy to rain to sleet to snow to hail to rain and then sunny). The weather there is not only highly variable, but often unrelated to surrounding conditions. It is the site of the highest recorded wind speed in history (231 mph), and as much as I like sticking it in the faces of people who say crazy weather is indicative of CAGW, this one is totally par for the course. Actually scratch that, looks like it was broken in 1996, Barrow Island, Australia, having trouble finding a good citation, but the claim is that the record is now 253mph. The WMO didn’t send a copy of the release to the MWO, though some people did know that it was under review. I suggested that that the WMO change the classifications for wind records as the new record makes the existing structure a little awkward.